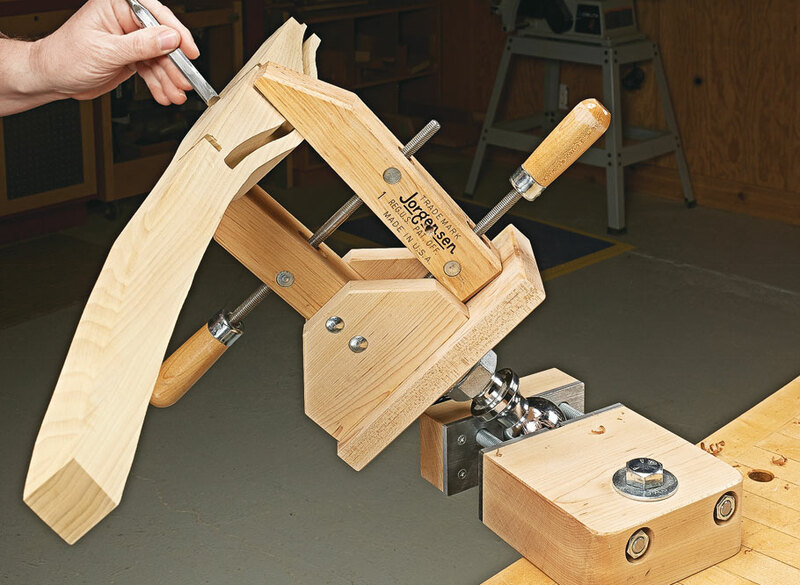 Having the ability to quickly rotate and position a workpiece is a huge advantage when performing certain tasks. 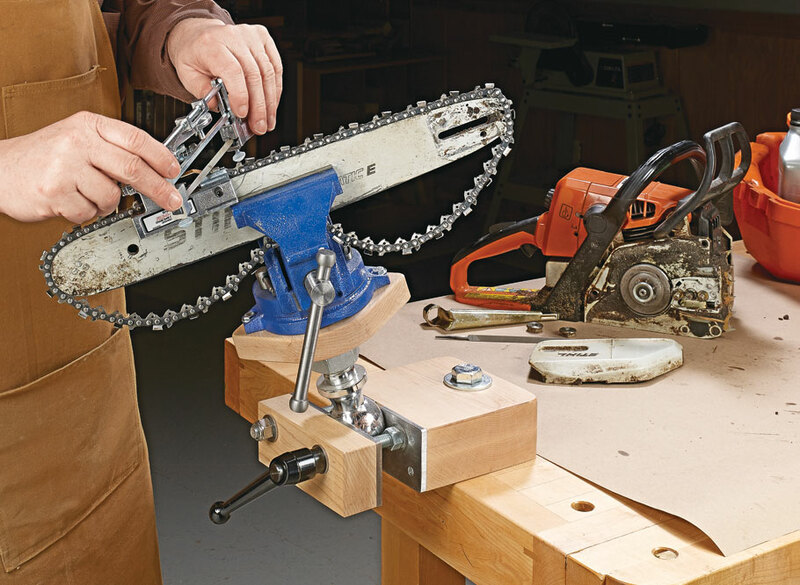 However, finding the workbench space to permanently mount a tool that may not be used all the time isn’t the best use of space. 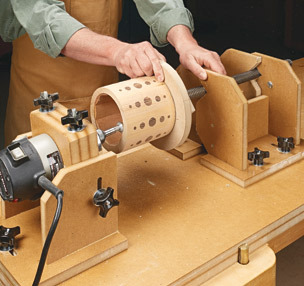 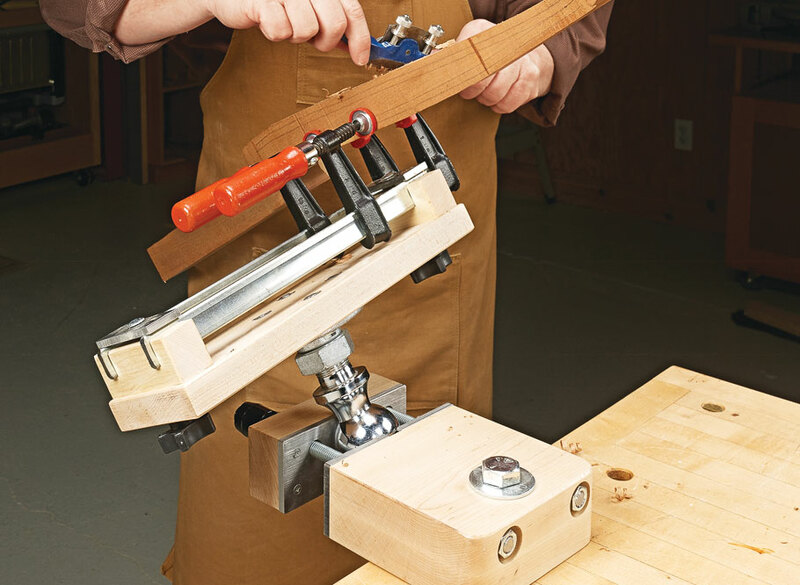 The shop-built vise shown here is the perfect solution. 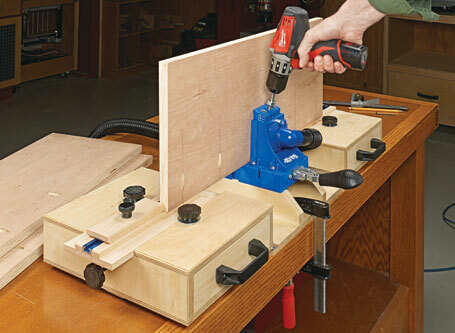 This vise can be temporarily mounted to a workbench using existing dog holes and easily removed when not needed. 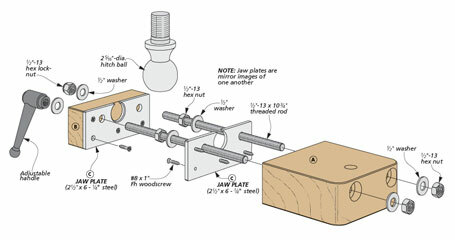 But the genius of this vise is the use of a standard hitch ball between the vise jaws that gives you complete adjustability on two axes. 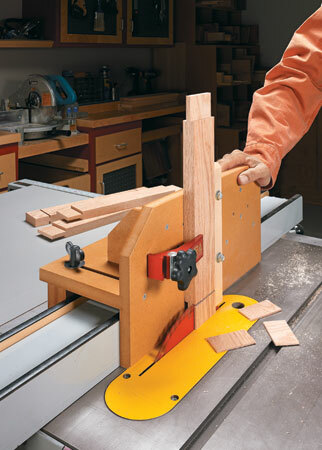 Simply release the handle to rotate and tilt the workpiece to the position needed.